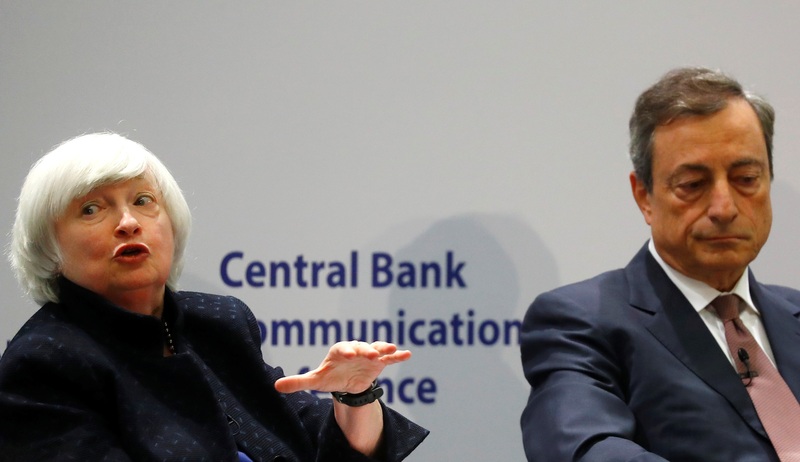 Fed Chair Janet Yellen and other top rate-setters took the stage in Frankfurt to discuss how they communicate. It’s a slightly meta admission of the role speechifying has come to play in monetary policy in an era of ultra-low interest rates. But wordiness brings its own perils. The European Central Bank is hosting a conference on central bank communications on Nov. 14 and Nov. 15. Speakers include U.S. Federal Reserve Chair Janet Yellen, Bank of Japan Governor Haruhiko Kuroda, European Central Bank President Mario Draghi, and Bank of England Governor Mark Carney.